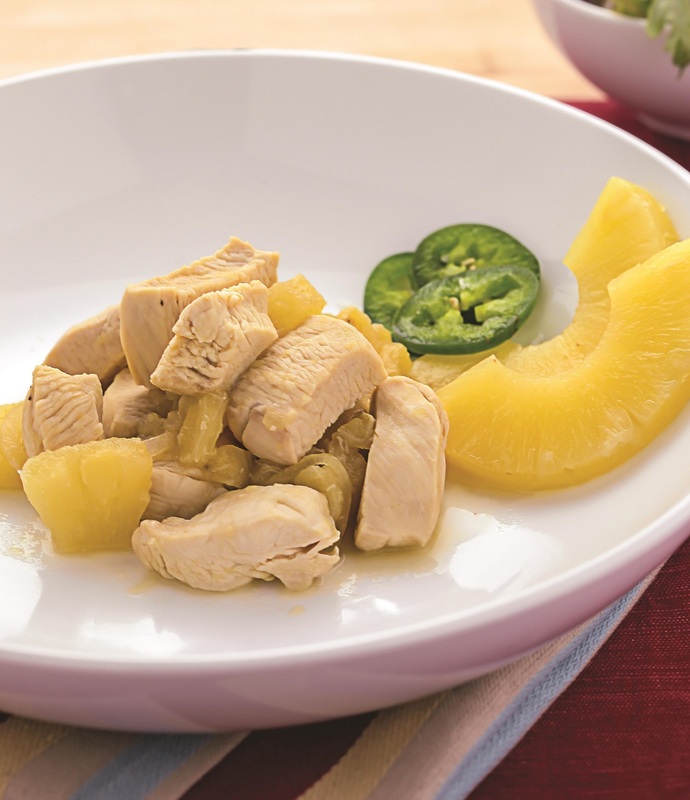 You can never have enough good chicken recipes, and pineapple chicken dishes are definitely in my top 10 favorite types. This recipe is from my bestselling cookbook The Shredded Chef and it’s really tasty. It’s pretty low-calorie as well, which means you can fit it into just about any type of meal plan. 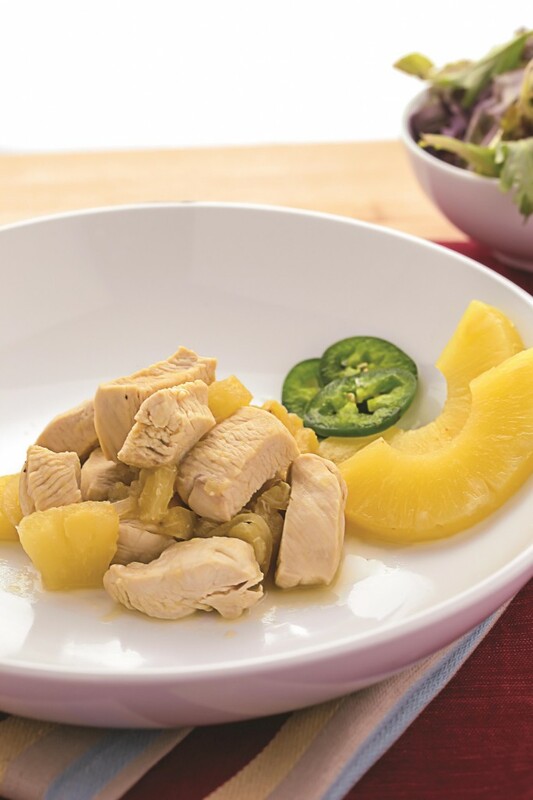 If you have room for more calories and want to make this dish even better, add 1/2 of a cup of coconut milk. Delicious! Enjoy! Put the oil in a pan and cook the onion on medium-high heat. Add the dash of pepper and cook for 1 minute, until the onion is slightly translucent. 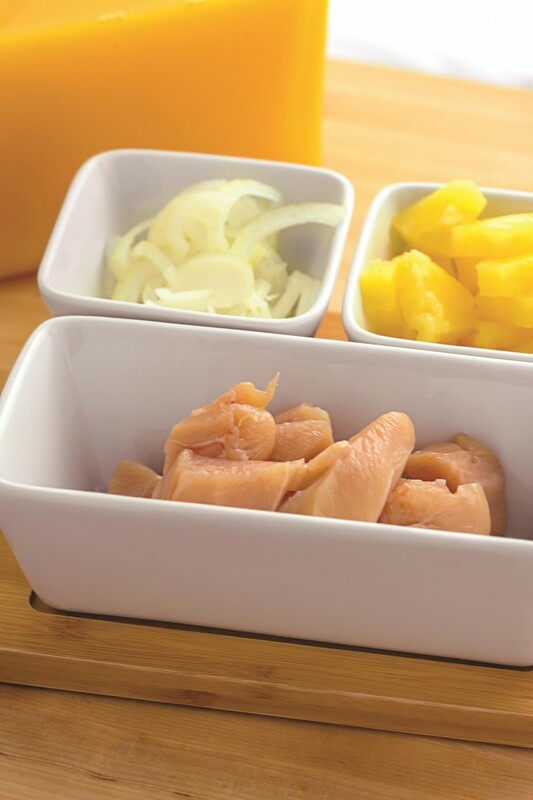 Put the chicken, orange juice, and pineapple with juice into the pan. Bring to a boil and reduce to medium heat. Add the banana and syrup and cook for 1 – 2 minutes. Stir it up and reduce the heat to low. Cover it and let it simmer for about 5 – 7 minutes, or until chicken is cooked through.